25 scholarships are available in the majority of Sussex Schools, and are awarded on the basis of academic performance and potential. The scholarships are offered for one year. * Pre-Masters Degrees and Diplomas taught at partner colleges which are validated by Sussex. Be assessed as liable to pay fees at the "overseas" (namely the non-EU) rate. Have sufficient funds to meet your tuition fees and living expenses, after taking account of the possible award of a Chancellor's International Scholarship. The closing date and time for applications to be received is 1st May 23:59:00 BST prior to the academic year commencing in September. Applications received after 1st May cannot be considered. Are the scholarships available to study in other universities? No, the Chancellor's International Scholarships can only be held at the University of Sussex. I am an EU student - am I eligible to apply? The scholarships are available to students paying the higher "overseas" rate of fee. In most cases EU students will not be eligible unless you have been specifically classified as liable to pay the overseas rate. If I am a current Sussex student can I apply? 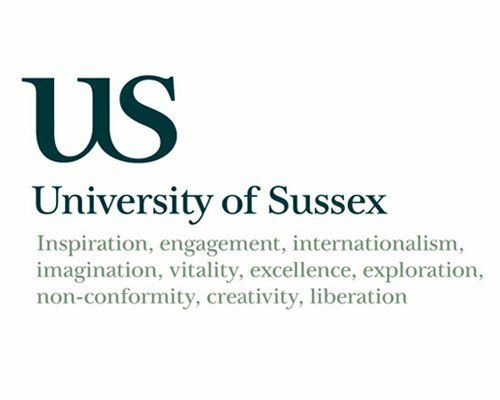 You must be applying for a postgraduate taught degree at Sussex, so you would be eligible if you are completing an Undergraduate degree or Postgraduate Diploma and applying for a Postgraduate taught degree. How can I find out whether I have been classified as an "overseas" fee paying student? This information is provided when Sussex makes you an offer of a place on a degree course. If you are uncertain about your fee status you should contact the Postgraduate Admissions Office. If I am offered a scholarship but defer my place at Sussex, can the scholarship be carried over to the next year? Unfortunately, it is not possible to carry over a scholarship to another year. You would need to submit a new application for the year in which you wish to enter Sussex. If I have funding from another source can I also apply for a scholarship? Yes - the scholarships are available to funded and self-financing students. Are the scholarships available to study at Research (MPhil, DPhil) level? No - however there are similar scholarships for research students, please look at the Doctorial Scholarships..
On what basis will the scholarships be awarded? The scholarships are awarded on the basis of academic merit and potential. These factors will be assessed by a selection panel at Sussex using the information provided on the Scholarship Application Form. The selectors will pay special attention to information provided in personal statement section of the form. The scholarships are not awarded on the basis of financial need.